UPDATE —Brandi Niles, 26, Cromwell, suffered minor injuries in a one-vehicle accident at 8:22 a.m. today, Monday, Nov. 9, on CR 1000N and CR 500E, south of Syracuse. 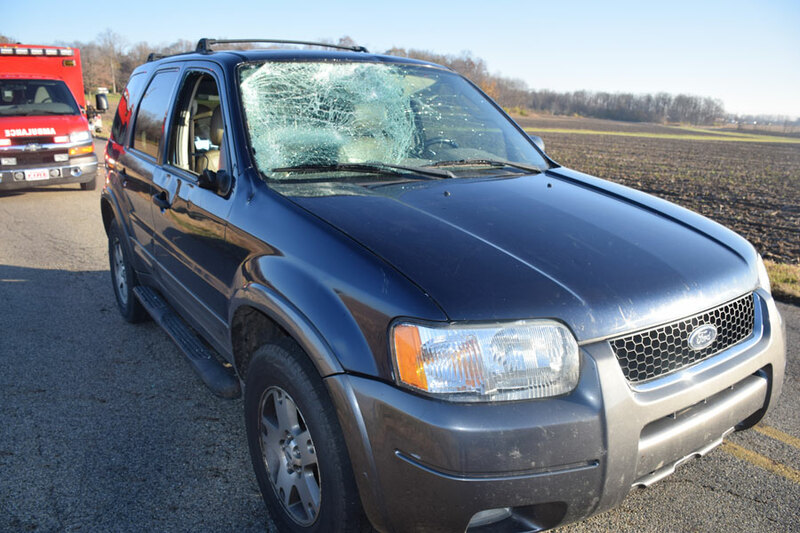 The Kosciusko County Sheriff’s Department reports Niles was southbound on CR 500E and struck a deer as it entered into the path of her vehicle. SYRACUSE — Police and fire officials responded to a personal injury accident on CR 1000N, near the intersection of CR 500E today around 8:30 a.m.
Syracuse Police, Kosciusko County Sheriff’s Department, Turkey Creek Fire and EMS responded to the scene. The driver of the vehicle reportedly struck a deer, but signed off on treatment at the scene after being checked by EMS personnel.